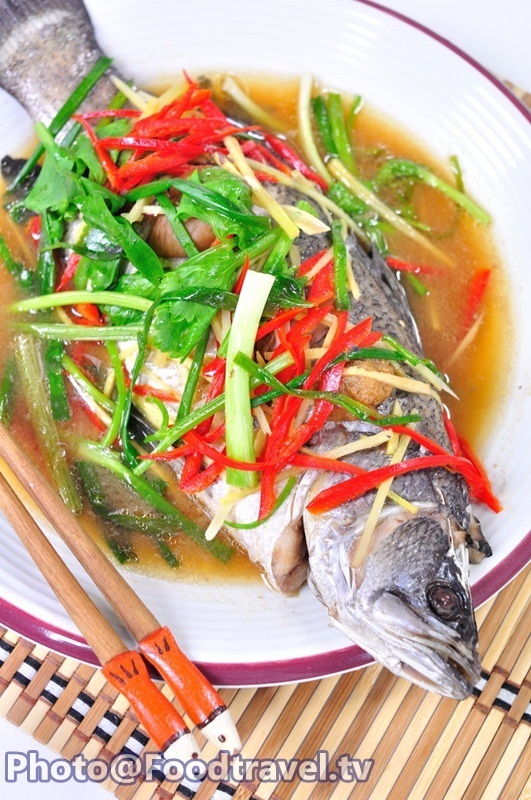 Steamed Fish with Chinese Plum Sauce (Pla Ga Pong Nueng Buay) - Fresh snapper fish topped with Chinese plum sauce. Then steamed until done, sprinkle with chili, ginger, spring onion and celery. 1. Granulated sugar, oyster sauce, soy sauce, soya sauce, sesame oil, chicken broth, Plum pickles. Mix them together in a mixing bowl. Then to pour it on the fish. 2. Set the water to boil in the steaming. The fish is steamed for 20 minutes. 3. 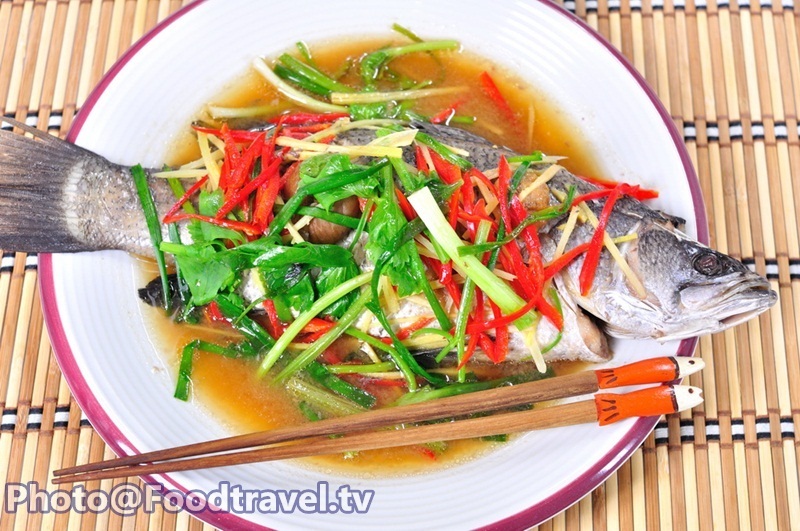 After 20 minutes, sprinkle with ginger, goat pepper, spring onion and celery on fish. Steam again about 5 minutes. You’re done.